The categorical and the continuous aspects of speech have been treated as parts of separate “worlds” by traditional approaches. In this view, the field of phonology represents the categorical world whereas phonetics represents the continuous world. The main motivation for this clear-cut division comes from the fact that phonology is recognised to investigate the mental representations of speech sounds, e.g. the difference between /p/ and /b/, while phonetics investigates the physical realisations, e.g. spectral properties of sounds or movements of the tongue. The split between the two has resulted in the use of different formal languages used in theoretical modelling of the sound patterns of language – with phonology using discrete mathematics and phonetics using continuous mathematics. Research in the field of both phonology and phonetics and in the intersection of the two has shown, however, that it can be quite difficult to draw a line between categorical and continuous since meaningful, non-random variation can be found in both domains. My dissertation project aims at exploring the border between phonology and phonetics and the possibilities to integrate the two for the domain of prosody, a very important part of language. Prosody is the use of the voice’s pitch and rhythm to convey meaning. Speakers of German and related languages use prosody, for example, to signal which part of an utterance contains the most important information. To achieve this, speakers make use of very clear categorical differences or be very subtle and make only small, continuous changes. This is where phonology and phonetics collide in prosodic variation. In my research, I investigate this collision with advanced acoustic and kinematic methods and develop a model that explains categorical and continuous prosodic variation at the same time using a single formal language. In the development of an integrated theoretical model of how the phonology and phonetics of prosody work together, the concept of the attractor landscape adopted from the field of non-linear dynamical systems plays an essential role. 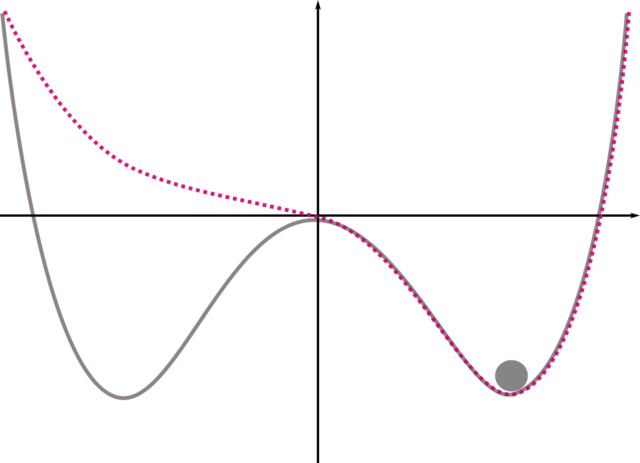 The attractor landscape describes the stable states the system can settle in. In the framework of dynamical systems, categorical changes can be understood as the result of altering a continuous parameter: A small change in a continuous variable can lead to a great shift in the attractor landscape. While the attractor landscape serves as a useful concept of categories arising from a continuous context, it also accounts for the presence of more than one category, multistability, and variation around the attractors: different phonological categories arising from continuous, phonetic change as well as gradient variation within one category. I studied Linguistics, Phonetics and Information Processing (Linguistik, Phonetik und Informationsverarbeitung) at the University of Cologne where I received my Master’s degree in 2014. From 2015 on, I worked as a software developer before coming back to the University of Cologne as a research assistant at the Phonetics Lab of the Department of Linguistics. Grice, M., S. Ritter, H. Niemann & T. Roettger (2017). Integrating the discreteness and continuity of intonational categories. Journal of Phonetics 64. 90–107. Ritter, S. & Grice, M. (2015). The Role of Tonal Onglides in German Nuclear Pitch Accents. Language and Speech 58(1). 114–128. Kügler, F., Smolibocki, B., Arnold, D., Baumann, S., Braun, B., Grice, M., Jannedy, S., Michalsky, J., Niebuhr, O., Peters, J., Ritter, S., Röhr, C., Schweitzer, A., Schweitzer, K. & P. Wagner (2015). DIMA – Annotation guidelines for German intonation. Proceedings of the 18th International Congress of Phonetic Sciences. Ritter, S. & T.B. 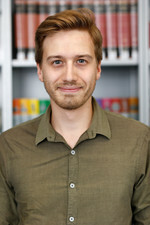 Roettger (2014). Speakers modulate noise-induced pitch according to intonational context. Proceedings of the 7th International Conference on Speech Prosody. 2018: Best Student Paper Award of the 16th Conference of the Association for Laboratory Phonology for his poster on ‘The phonetics and phonology of focus marking – an integrated perspective’. "a.r.t.e.s. makes it possible to experience work on the border between disciplines: in a smaller context within the classes and in a broader context within the graduate school. The detailed, concentrated view of one’s own work is complemented by the bigger picture representing the vast diversity of the arts and humanities at the University of Cologne."